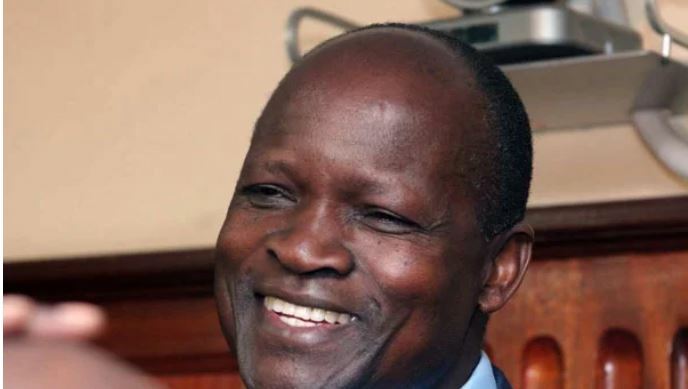 Migori County Governor Okoth Obado looted Sh2 billion from Migori County government coffers through cronies including his family members, says anti-corruption watchdog EACC. In an affidavit filed in court, the Ethics and Anti-Corruption Commission says it has evidence showing how Obado used companies registered by his relatives to siphon the funds within a period of three years. EACC notes that the newly registered companies transacted Sh1,971,179,180 worth of tenders exclusively from the Migori county government. “The commission received credible information that a few persons well known to be proxies of the governor, registered several companies for the purpose of fraudulent acquisition of public funds through fictitious contracts,” the EACC says. According to the commission, seven members of the governor’s family registered 16 companies and secured multimillion tenders from the county government. The individuals include Mr Jared Oluoch Kwaga, Ms Christine Ochola, Ms Carolyne Ochola, Mr Joram Otieno, Patroba Otieno, Ms Penina Otago and Mr Robert Okeyo. Records show the companies were registered between 2014 and 2016. Obado’s children, Dan Ochola Okoth, Jerry Zachary Okoth and Susan Scarlet Okoth, are also said to have received money from his proxies in various accounts held at banks in Australia and Scotland. The seven defendants reportedly purchased properties worth Sh382.4 million in a bid to conceal the proceeds of the dubious contracts. Sh55.2 million was also wired to offshore financial institutions in China and Hong Kong. “When asked to explain the disproportion between the assets concerned and their known legitimate sources, the commission was not satisfied with explanations given,” reads the affidavit. The Commission further notes that four days after conducting a search at Kwaga’s home, he transferred 17 out of the 59 parcels of land registered in his name to interested parties. The agency says 17 pieces of land were transferred in a single day- March 19th, 2018. EACC named Peter Odoyo Kwaga, a close associate of Obado, as the mastermind of the theft who roped in six members of his family including his mother. The Commission, therefore, wants the court to grant orders to stop the further transfer of the illegally acquired wealth and properties.